return. To go to the Shopping Cart, click HERE. 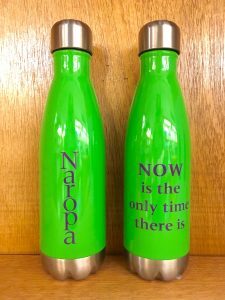 A single wall stainless steel water bottle featuring Naropa University text across the front. 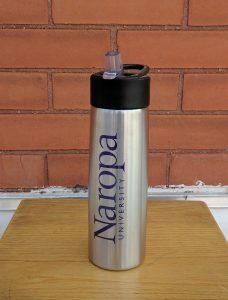 Designed for cold liquids, this features a flip-up mouthpiece, two detachable straws, and a twist-off lid with a handle for easy gripping.